Some dental emergencies are accident related, such as when children are not wearing protective gear while playing. 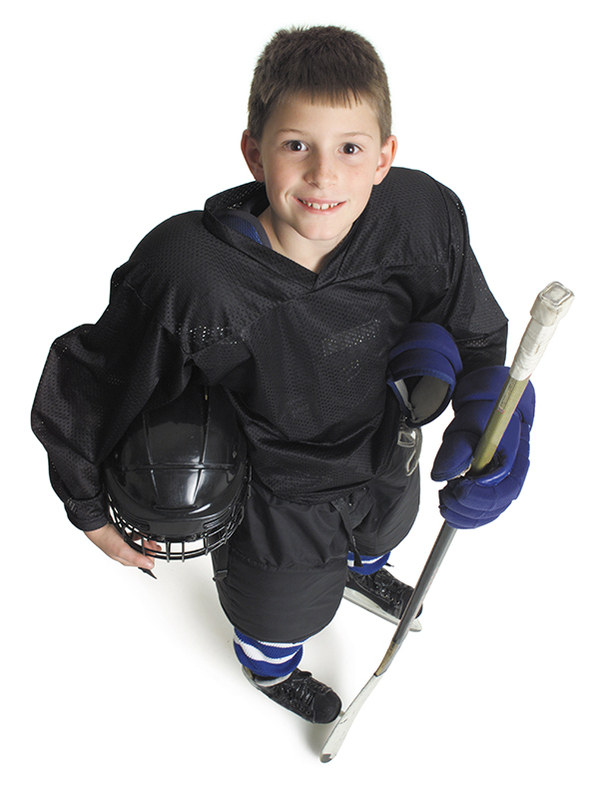 With children engaging in activities like street hockey, baseball and riding bicycles, teeth can get damaged or even knocked out while playing. Rossland Garden Dental Office in Whitby provides emergency dental care for such accidents. Any tooth can be saved if they are re-implanted in time, either at the site of the injury or later on in a dental office – if they are transported properly. The following hints will help improve the success in saving the tooth. The tooth should be rinsed, if dirty, carefully under tap water, with the sink plugged. Do not scrub the tooth. Then the tooth should be gently teased back into the socket and the patient transported to the dental office with the tooth held in position. If repositioning at site is not possible, the tooth should be placed in the buccal fold of the mouth. If there is a danger of swallowing due to the child's general condition, the tooth should be placed in a glass of cold milk or physiologic saline or wrapped in a plastic wrap or even a wet towel, then transported to the dental office. Some pain medication and application of colds packs externally will help to ease the suffering. The dentist can re-implant the tooth correctly and splint it, until the tooth is firm. Later on, this tooth may need root canal treatment. All teeth cannot be saved and the chances of success depend on the way a tooth is handled and the time passed before it is re-implanted. Sometimes the tooth may not be found and the chances that it may have been swallowed are real depending on the age of the child and the nature and severity of injury. In fact, the tooth may have been pushed inside the socket along with a fracture of the alveolar bone. In case the injury is of a serious nature, it is prudent to go to the hospital emergency room where an assessment can be made and the primary care given before the dental treatment. On the other hand, if the blow to the face is not severe, the tooth may be slightly displaced or just loose, or may be fractured or chipped. Such teeth can be treated with a good rate of success. Damaged teeth may become discoloured later on and may need root canal treatment and bleaching. Sometimes crowning is necessary. Above all, the best way to prevent injuries is to wear protection like mouth guards/face masks while engaging in these sporting activities. Better to be safe than sorry!